Prominent & Leading Manufacturer from Mumbai, we offer ptfe hose fittings, hygienic fittings, pipe fittings, hose connectors fittings, flare fittings and buttweld fittings. 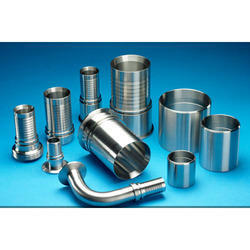 Powerflex Industries is involved in offering a comprehensive range of Hygienic Fittings in various latest designs. These are fabricated using high quality raw materials which ensure their durability. This product is extensively known for its precise dimensions and optimal finish. Due to various quality tests, its durability and quality is assured. 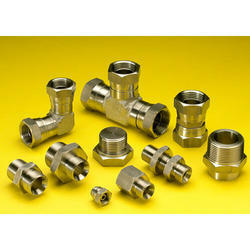 Our Pipe Fittings are manufactured from high quality raw materials. We also test our product on multiple parameters. We manufacture this product as per the prevailing standards to ensure that they are safe to use and durable. These are also leak and pressure tested. They are extensively used in water supply, engineering and irrigation sectors. 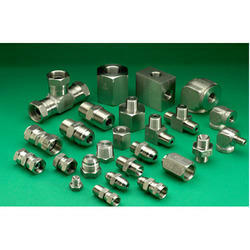 We offer our clients an excellent quality range of Hose Connectors Fittings. These fittings are made from very high quality raw materials which ensure high durability for them. Different sizes and designs are easily available in the market. These fittings are known for their weather and shock resistance. They are dimensionally accurate. 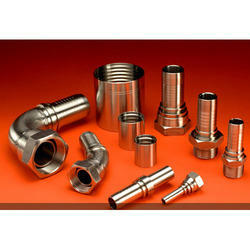 Powerflex Industries offers the best of the Flare Fittings in the market. Designed using best of the materials available, the fittings are well known for their durability and unique features. Manufactured in compliance with international quality standards, these fittings make us stand ahead of our competitors. Customers are reasonably charged for these fittings. Powerflex Industries is involved in offering a comprehensive range of Buttweld Fittings in various designs. Due to various the quality tests conducted on them, their durability and quality are assured. It is also manufactured in sync with the international standards. 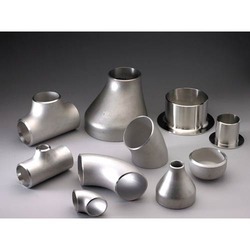 These fittings are used in underground pipe fittings. Looking for Buttweld Pipe Fittings ?